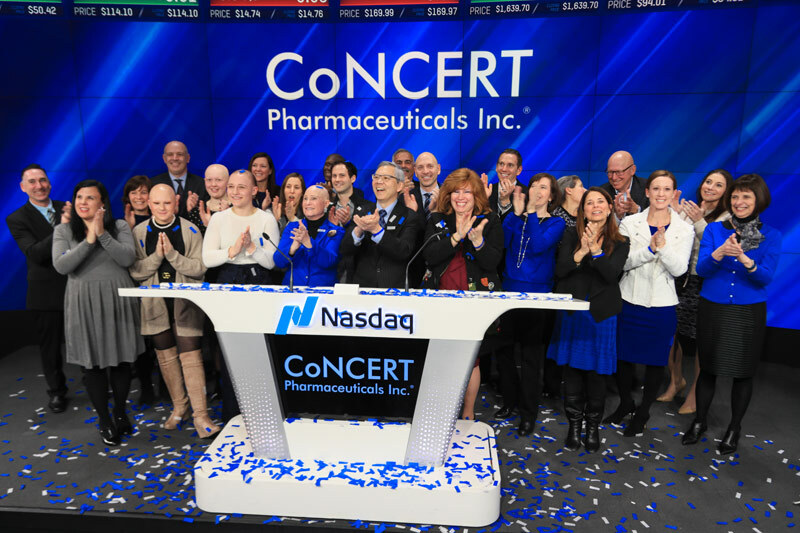 On February 13, 2019, we were privileged to be joined by people living with alopecia areata and other members of the alopecia areata community to help us ring the closing bell at the Nasdaq stock market in New York. At this event, we had the opportunity to hear and learn first-hand from individuals impacted by alopecia areata. Our CEO, Roger Tung, shared our understanding of alopecia areata as a serious autoimmune disease that can greatly impact the lives of patients. As one of the leaders in efforts to develop better treatments for alopecia areata, we were proud to share this day with the alopecia areata community. We are grateful to Nasdaq for the honor of presiding over the closing bell ceremony in recognition of Concert’s five year anniversary of becoming a public company. Above all, we extend our heartfelt thanks to the members of Bald Girls Do Lunch and the National Alopecia Areata Foundation who helped us raise awareness for alopecia areata. Photo: Representatives from Bald Girls Do Lunch and the National Alopecia Areata Foundation joined the Concert Pharmaceuticals team to ring the Nasdaq market closing bell.